Now available on Amazon in hardcover and eBook! 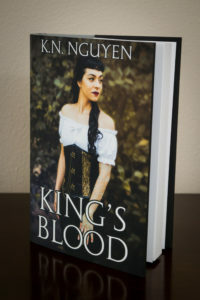 King’s Blood is K.N. 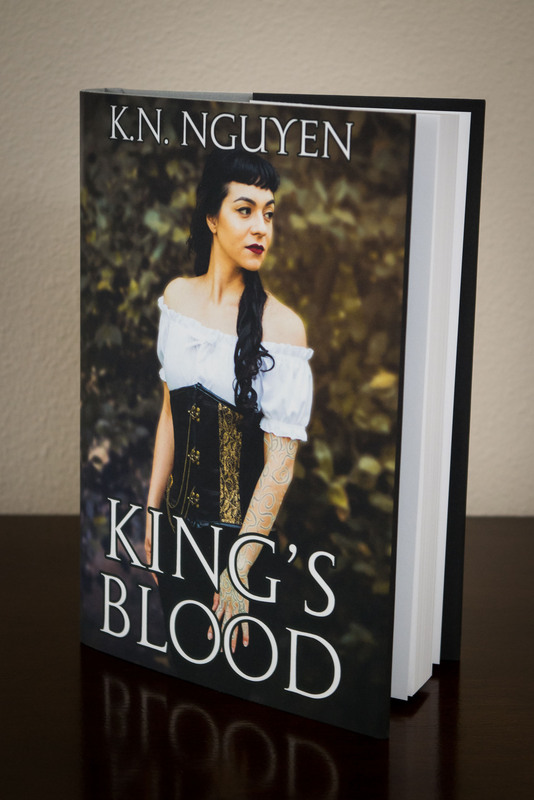 Nguyen’s debut novel, fusing her love of high and epic fantasy with Mediterranean mythology. If you could gain the power of the gods by drinking their blood, would you do it? What if it cost you your mind? Years ago, Alverick, member of the King’s Guard, took the risk. For him, it worked and he was blessed with the earthy powers of the gods, but it came at a cost. As the years passed, he’s come closer and closer to losing his sanity. Now that the city of Pharn is threatened by a young upstart, he struggles with his duty to protect his people against the enemy, and himself. However, the gods can’t be separated from their blood forever.